To get to your website to the top of Google search results, you have to earn its trust. There are three factors of trust Google cares most about 1. The age of your website 2. The value + relevance of your content, and 3. Your online influence. Whether you have a blog or a business website, you’ve undoubtedly faced with the dilemma of trying to get your site ranked somewhere near the top of Google’s search results (not an easy task by the way). If you ever dream of your website getting listed on that first page, you’ll have to play by Google’s rules and to play by the rules; you must first learn what they are. Welcome to the world of Search Engine Optimization (SEO). I’m going to refer to Google when discussing SEO. If you can win search with Google, chances are you’re going to win with the other search engines as well. There was a day when Google first added your site to its index; this is the date Google uses to determine the age of your site. Remember, Google cares about the time in which it added your site to its index, and not the day you purchased your domain. The older the website, the sweeter the juice. New websites are harder to win in search because it’s hard for Google to trust new sites. Hundreds of thousands of new sites launch each day, and most contain spammy/link bait articles and or sub-par content. Only handfuls of sites stay relevant over long periods of time, so it’s important that you update your website often and remain consistent over time. As long as your site remains clean from blackhat SEO techniques, and you continue to add valuable, relevant content, your site will get stronger with age. Be patient; Google makes you earn its trust. Is the content on your website valuable to your target audience? If not, you’re going to have a tough time winning any search query. Pretend for one second that you’re Google. Would you want to return non-relevant information to your customers? Of course not. That’s why you need to make sure the content on your website answers questions and or helps your users to find relevant information. Google also gives particular attention to websites who regularly add new content to their site. To do this, make sure your site has a blog and is updated periodically (at least 350 words per week). In each blog article, make sure to include the SEO keywords and phrases that you’re trying to win. The keywords should be in page titles, links (be sure to link to your homepage in each article using one of the keywords that you want to your site should associate, this helps boost or “juice” the keyword and creates an association between that keyword and your website. Don’t go crazy with your SEO keywords, just use them when they make sense. If you overuse or attempt to “stuff” your content full of keywords, Google will catch on and see that you’re trying to manipulate its search results and potentially penalize your site. If your website lacks content, try transcribing text for videos. Remember YouTube is owned by Google and is the 2nd largest search engine in the world. Post videos to YouTube and use the SEO keywords throughout the video, this way, when you have the video transcribed your content will be keyword rich. Don’t just post content to post it. Make sure the content you’re writing is valuable, and it hits on all the subjects that you’re trying to win. Verify that the content is so good that your site visitors will not only share the content but will want to link to it within their blog articles as well. When other websites link to your site, they add a ton of juice to your website making your site an authority. A link from another site to yours is called a backlink. As far as we SEOs can tell, backlinks are the number one factor that Google uses when to rank your website. How many authority sites link to yours. If big time sites, like The Huffington Post, NYtimes.com, and Moz.com. Google trusts authority sites and is likely to not punish them for over optimizing. It’s your job to make your website as popular as possible. How do you make your site popular? 1. Have great “shareable” content. Google pays close attention to what people are saying and how they are responding to your articles on social media, so you better be on social as much as possible. Don’t get into any link building schemes, instead spend your efforts getting to know people in the right places. For instance, if I can get a writer from Moz.com or Search Engine Journal to reference this article. Google will take notice and will rank me higher. They do this because they trust the site, Moz SEO has a reference to say JasMoore.com, they will know that I must know what I am talking about and that my content is valuable. I know a few marketers who are spending much of their budgets in PR, with the aim that the PR company will provide inbound links to their website on their media sites. Those are some pretty smart SEOs. If you know of an industry leader, consider reaching out to them and let them know you mentioned them in a blog article. Maybe, they will see your content and repay the favor. The point is Google wants these links built organically, and over time, however, we as business owners need to do what we can to make this process a little quicker. To conclude, you have to earn Google’s trust to rank for any of your desired keywords. So, be patient, SEO is not going to happen overnight. The three most important factors of Google’s trust are the age of your website, the value, and relevance of your content, and your online influence. 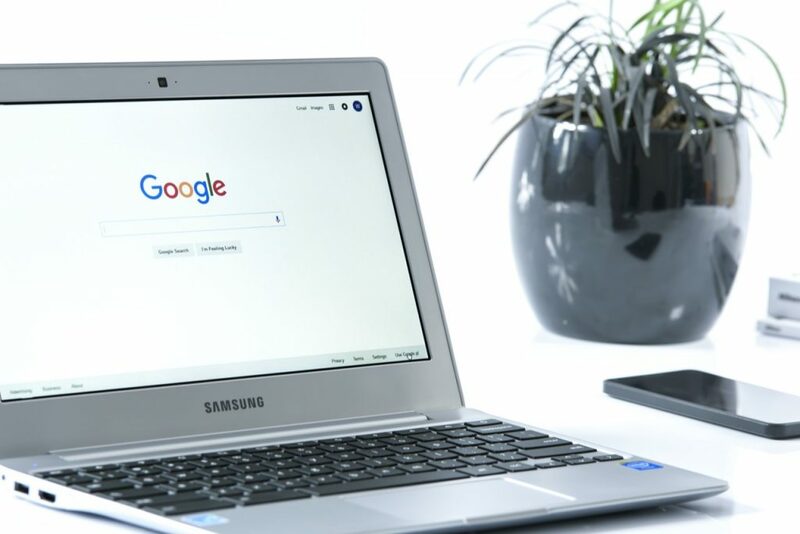 Although you now know the overall idea of what Google looks for, there are certain on page features you could be doing right now to optimize your site for Google to get you the highest possible PageRank. Be sure to spend time on your website; it will pay off. If you feel you need customized help with your SEO plans, or just don’t have the time, I offer free 30 minute SEO consultations for bloggers and Maryland-based businesses.